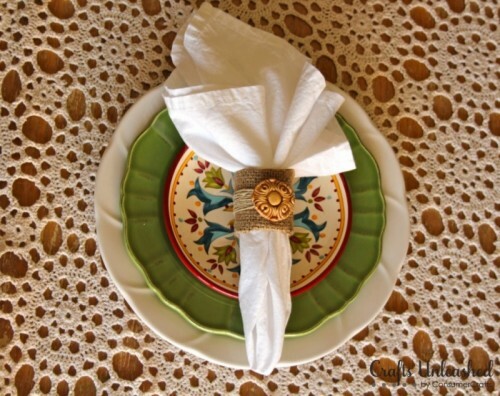 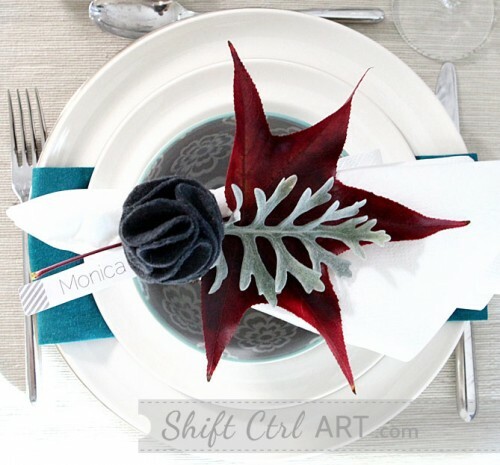 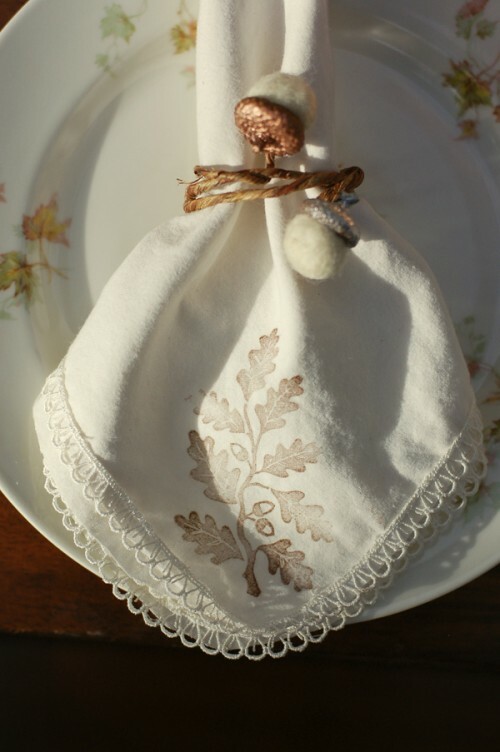 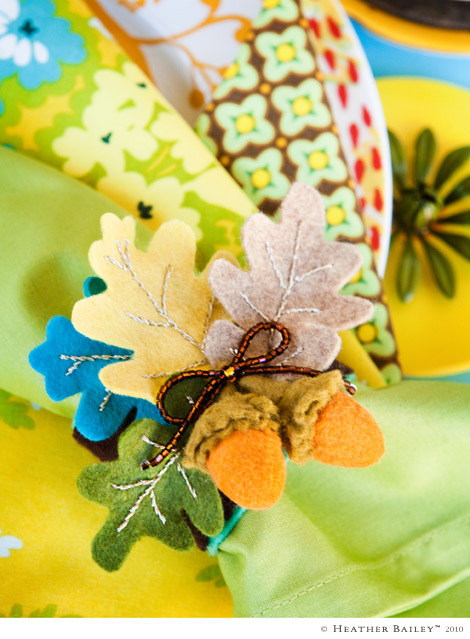 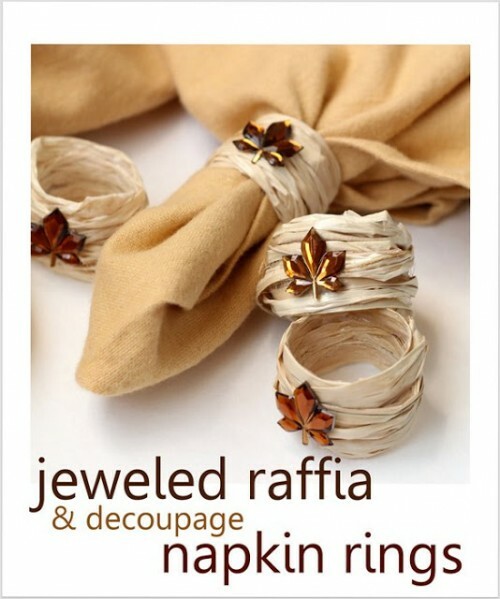 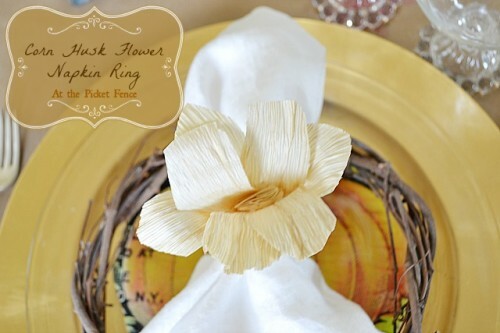 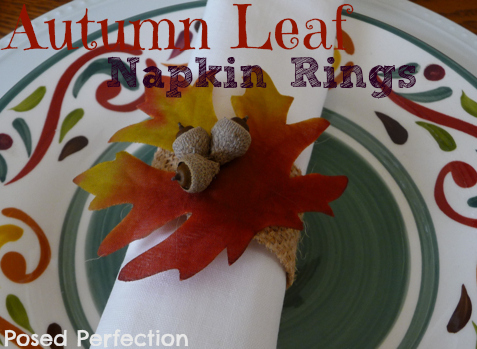 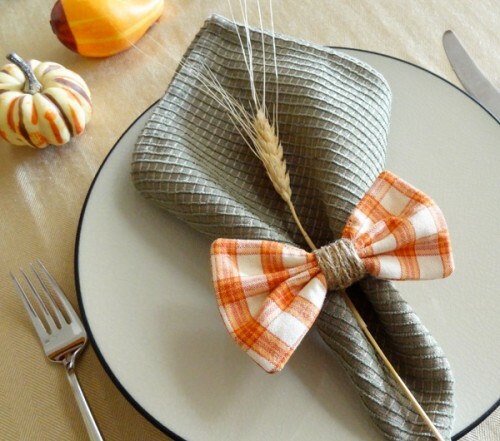 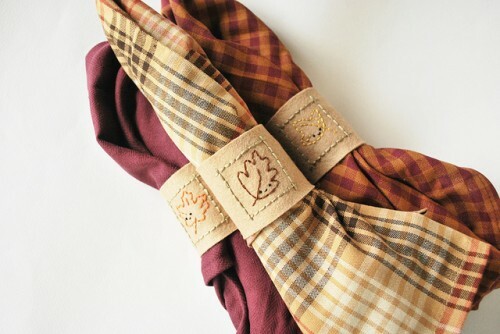 We’ve already told you of fall centerpieces to make and table settings to choose, and now it’s time for napkin rings! 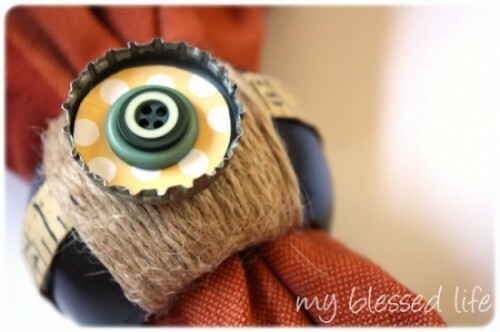 This is a small but important accessory that should be also taken into consideration. 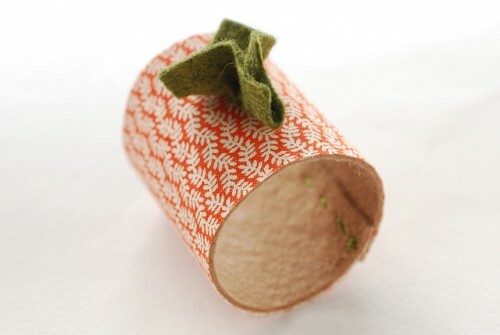 You needn’t’ buy anything – just take some materials and start you work. 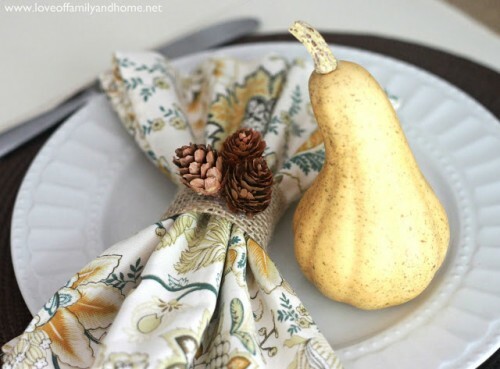 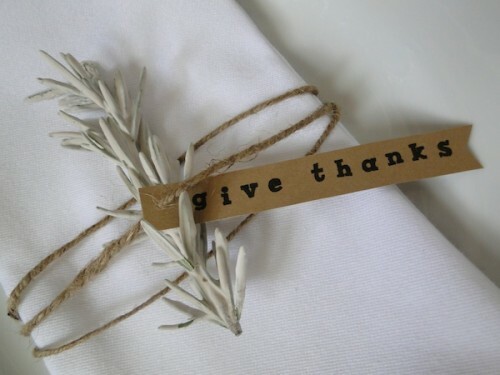 Take natural materials like raffia, acorns, flowers, corn husk and pine cones and some fabric or burlap and maybe cardstock to hold the shape. 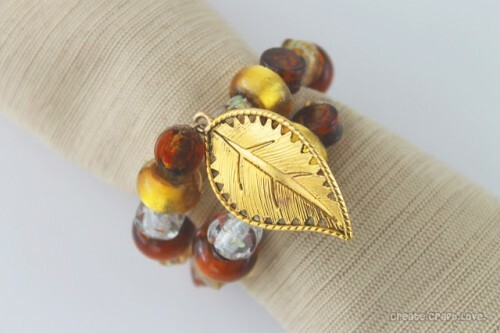 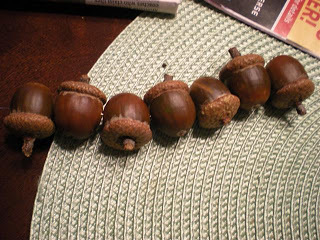 If you don’t want to take natural things – choose charms shaped as leaves or acorns or rhinestones and shape them as you want. 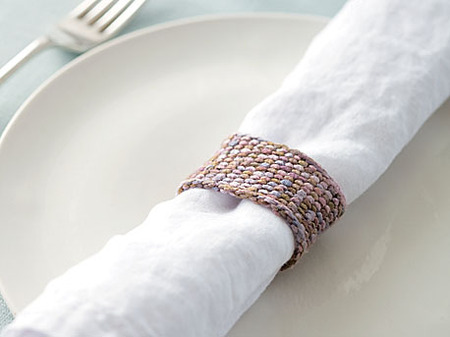 Look for some more cool ideas below and have a nice meal!